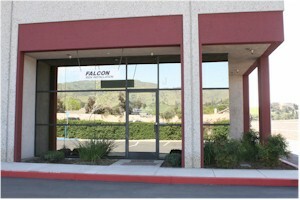 In 1989, Falcon Signs opened its doors for business in San Dimas with only 10 clients. Today it is the largest real estate sign post installation company in the San Gabriel Valley and Inland Empire, servicing over 3,000 clients. In 1999, company headquarters were relocated to La Verne, where the company operated for 10 years, and in March of 2010, Falcon Signs returned to San Dimas and purchased the building that now serves as their offices and production shop. Owner, Steve Iaquinta, is native to San Gabriel Valley, and has lived in West Covina all of his life. He is married to Vanessa, and has 2 children, Christopher and Emily. Steve’s focus is to provide outstanding service to his clients, and his goal for the company is to grow and cover as vast an area of Southern California as possible.